Dr Kusama: [to his son] Can happiness be obtained without sacrifice? Can a new era be achieved without tragedy? It may have escaped other reviewers but ALL the characters of this show are take from other series. Giant Robo OF COURSE is JAIANTO ROBO, but also BIG FIRE himself is BABIL JUNIOR (residing in the ruins of the Babel Tower with his three guardians...the panther, Rokuros and Poseidon) and even Lord Alberto's psychic daughter...she's Sally the Witch from 'Maho Tsukai Sally' (a 'bewitched'-influenced jap cartoon show of the late 60s). 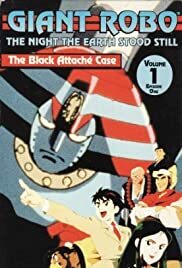 Several of the Magnificen 10 were villains in a early animated show about an antediluvian teen awakening in the present and reactivating a giant mecha from the seabed (I just can't place the name of that series but I have seen it in my youth). All the references and homages of course work just for the Japanese and for the few (lucky?) countries which were flooded by the barrage of ALL the early Japanese cartoon series (I live in Italy and during the late 70s-early 80s we imported almost ALL of the anime which existed to that day...as a result the regular 30-ish male Italian has a passing knowledge of anime to rival that of a non-Japanese 'otaku'...limited to that peculiar period). Well that's it, search the web and find all of the in-jokes and special appearances that literally FILL the animated series. 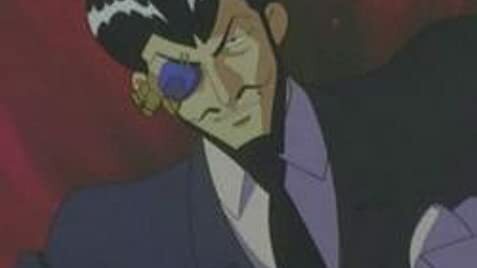 Last hint...director naka-joe's original character appeared of course in a boxing series but you have to take 25-30 years off his current appearance to find out 'where does he come from'.